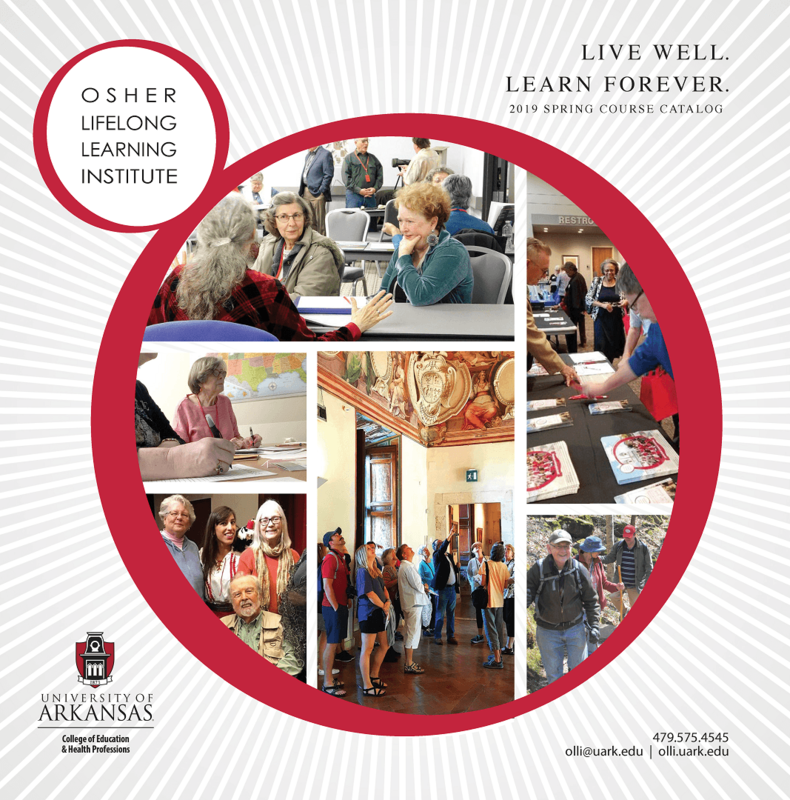 In addition to a wide variety of educational courses offered, the Osher Lifelong Learning Institute is proud to offer its students unique ways to learn and engage with the community outside of a classroom. 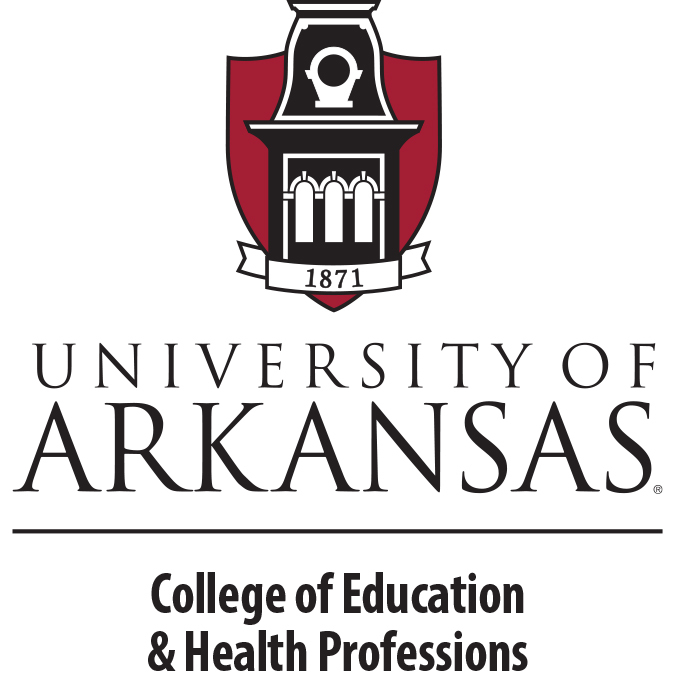 This Spring, OLLI has partnered with the University of Arkansas Eleanor Mann School of Nursing to provide its students with OLLI mentors and allow each pair to learn from each other. 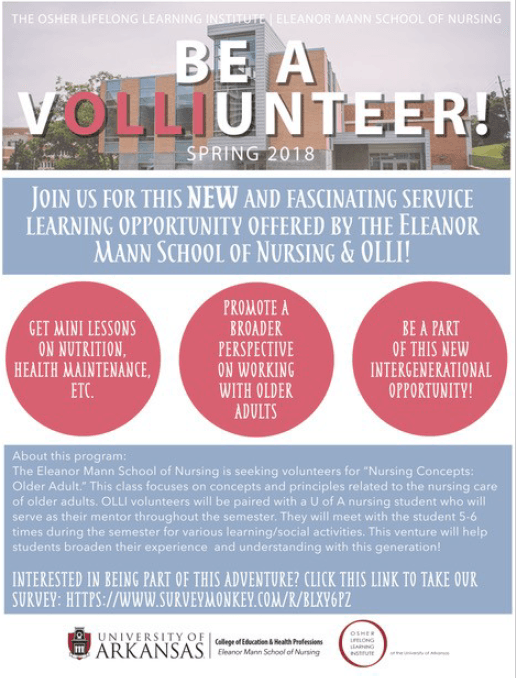 OLLI volunteers for this program will receive time with nursing students to learn about nutrition and overall health maintenance. 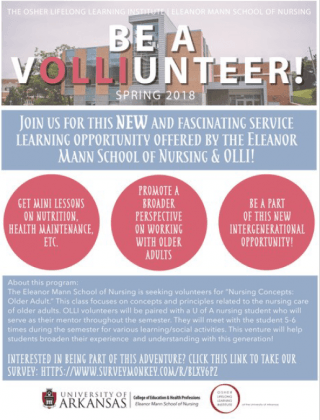 OLLI and the School of Nursing believe that this mentor/mentee relationship will not only educate their students on working with adults, but educate OLLI volunteers with how to take care of themselves with the advice of a medical professional-in-training. 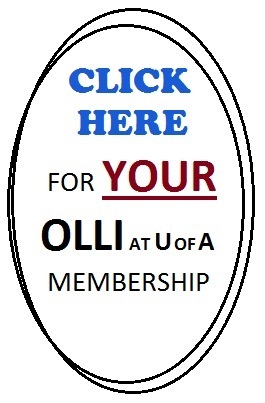 VOLLIUNTEER today to receive access to this great opportunity! Office hours: 9 a.m. - 3:30 p.m.